Ajay Devgn: Just heard about the earthquake coming once again. Hope everyone is safe in India and Nepal. Soha Ali Khan: You can't control earthquakes, but you can control your environment - take precautions to ensure your home is earthquake ready. Be safe. 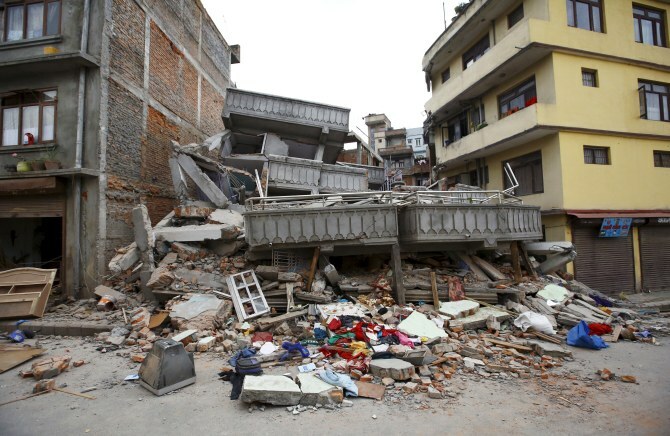 ‏Anushka Sharma: So so so sad that earthquake happens again . Whatever little semblance may have been achieved shakes again. Prayers with people. Arjun Rampal: A religious group bus is attacked in Pakistan. Prayers for the families of lost ones & all those injured. Don't know which God approves this. Taapsee Pannu: Karachi :( let's thank god every morning that we wake up breathing. Future has never been more unpredictable. The first look of director Subhash Kapoor’s upcoming comedy film Guddu Rangeela is out. The film also stars Arshad Warsi, Amit Sadh and Ronit Roy. 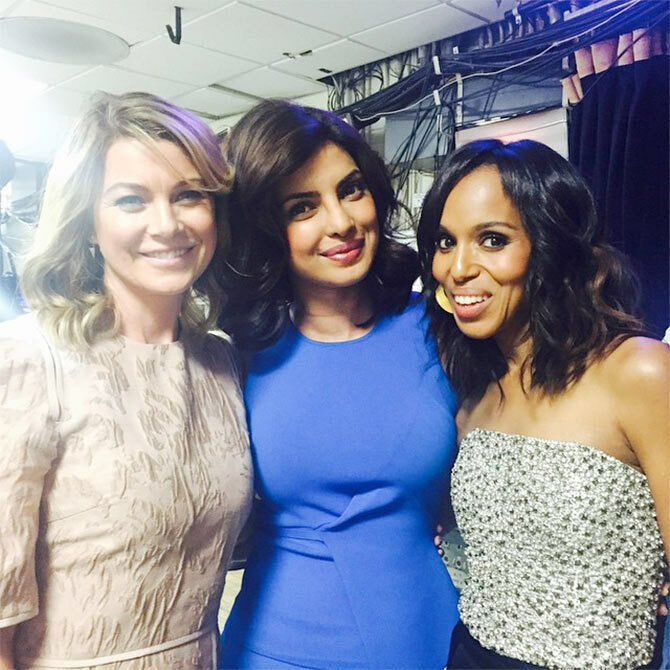 Image: Ellen Pompeo, Priyanka Chopra and Kerry Washington. Priyanka Chopra is all set to make her Hollywood acting debut in the upcoming thriller Quantico. Sushant Singh Rajput: Wow, just saw the super trailer of quantico. Riveting ,super compelling,so very excited for this one. @priyankachopra extremely proud of u!! Gurmeet Choudhary: Congratulations @priyankachopra for your American show #QuanticoABC ... You r showing even sky is not d limit.. Bravo..
Neil Nitin Mukesh: This is awesome stuff ! An intense story and the perfect person to play such a layered character . Congratulations!! !